3 new musical items are joining the iconic Plume range. Available in blue, pink and cream, these Chubbies adopt a fresh new 2015 look, with their sweet little face in soft pale grey. Baby will peacefully fall asleep to the sound of « A la volette », a French children song. Machine washable. Offered in reusable round box of 18.5 cm diameter. Plume from Kaloo is the flagship collection from Kaloo. 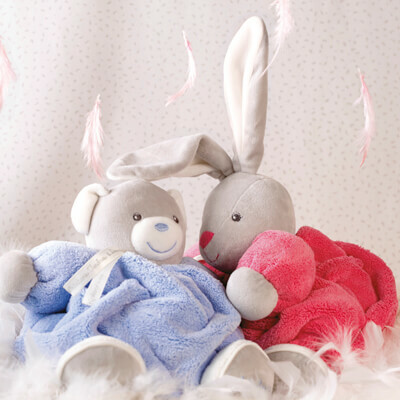 Babies adore the unique, microfibre texture of their colourful comforters. 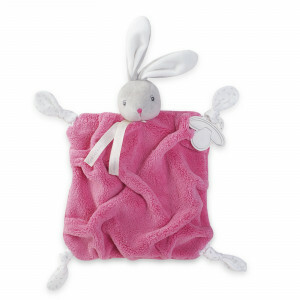 Their many pleats and the big ears of the bunnies make these soft toys easy for little hands to pick up, from birth. 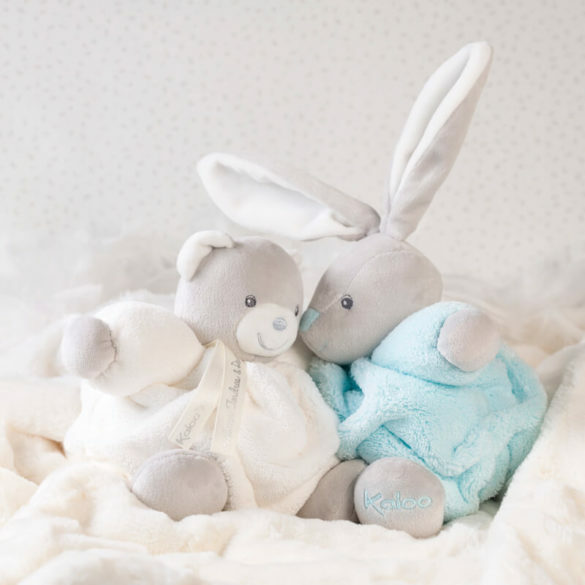 Feather offers a pretty rainbow of colours and comes in chubby teddies, comforters and clothing accessories...Comforters and Chubby Teddies are sold in a pretty box, perfect for a gift and to store all your baby keepsakes.